DRB supplies and services a broad range of OEM and white label parts and equipment. Many are available with same day delivery or can be collected from our warehouse. We also provide expert product and application advice and support to ensure you’re using the most appropriate parts for each application to maintain your up-time and reduce your maintenance and operating costs. DRB’s electrical division offers a full repair service including electrical rewind and mechanical overhaul for AC and DC electric motors, ATEX motors, generators and alternators. We also provide on-site support including installation and condition monitoring. We offer a range of predictive and preventative maintenance techniques including vibration analysis, dynamic balancing and laser alignment to help ensure that motors and other rotating equipment are installed correctly and operating efficiently. You’ll see reduced energy consumption, fewer maintenance requirements and increased equipment lifetime. 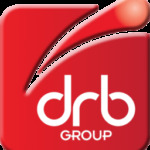 DRB also supplies a wide range of new motor and drive products from manufacturers including Brook Crompton, Mitsubishi, SEW Eurodrive and aldor Dodge. We have dedicated support staff to help you understand the changing legislation, and to advise on the best combination of motor and drive technology for specific applications.